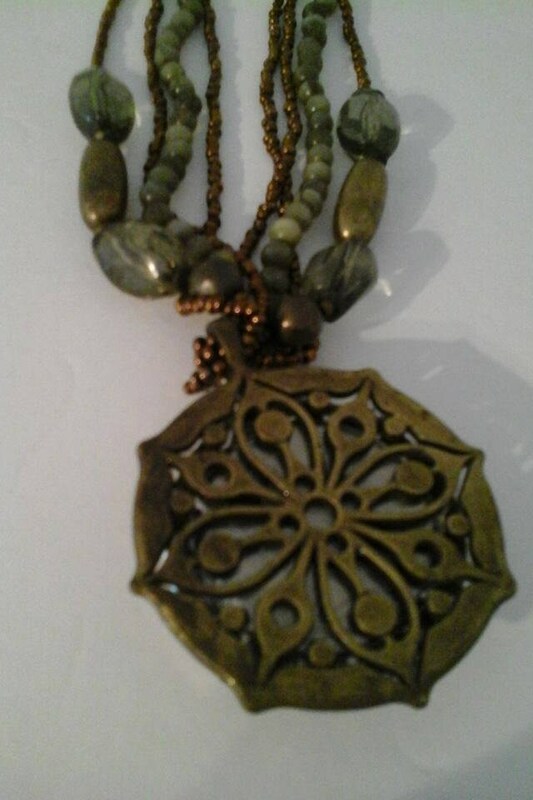 Green Aventurine style beads, and gold colored seed beads on 4 strands which hold a pendant made from Watch encasement and inner workings. 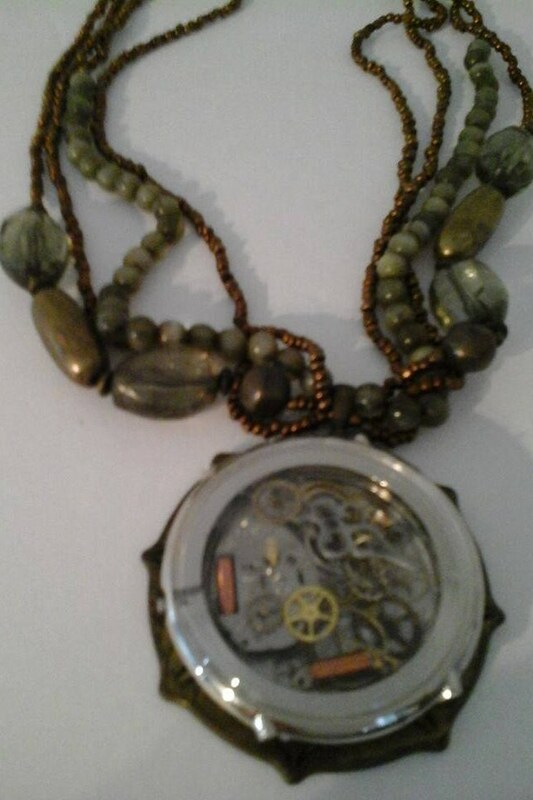 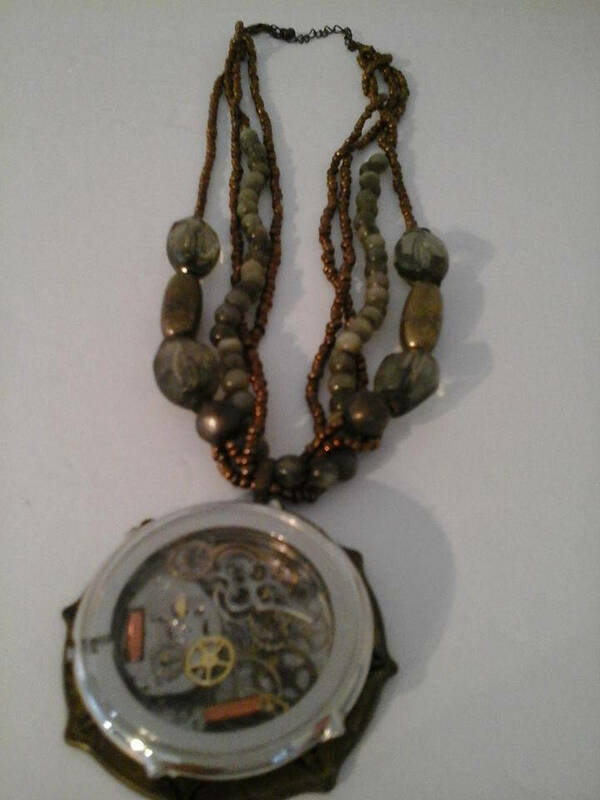 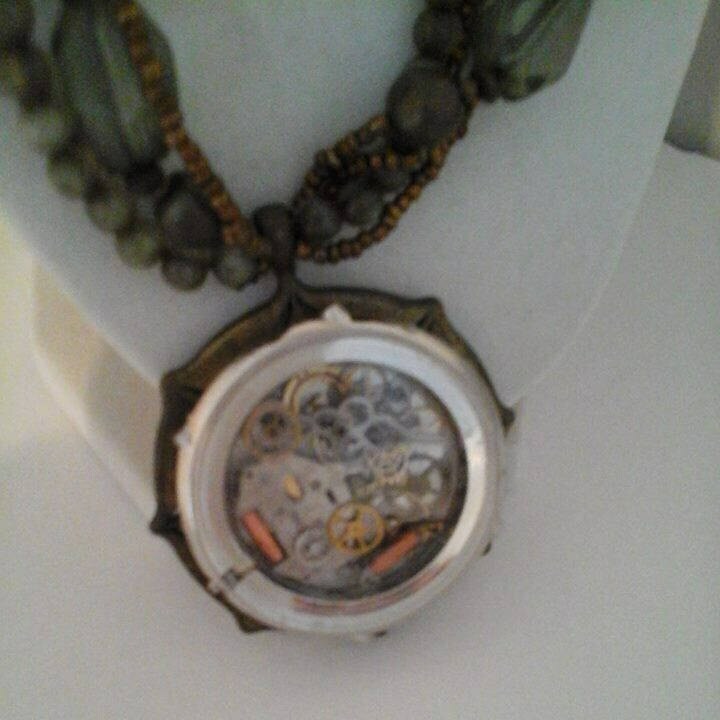 Multi Strand Beaded Choker with Inner Time Piece Pendant, Steampunk style makes a beautiful statement piece. 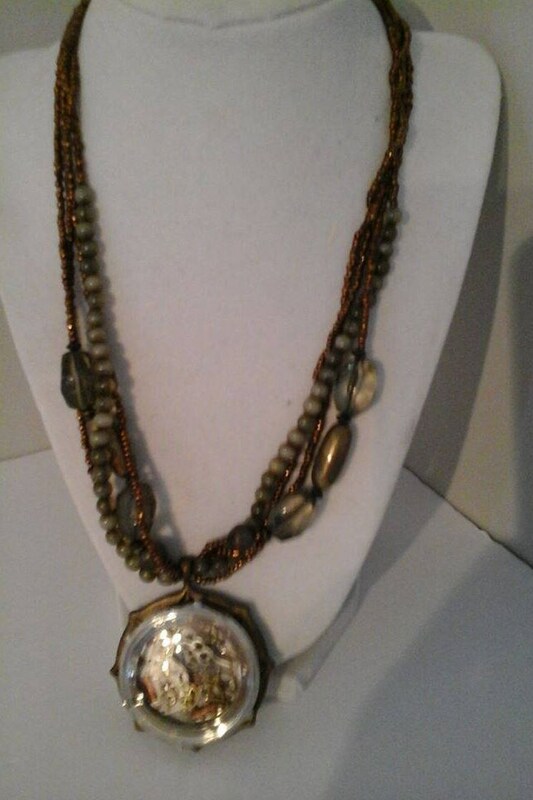 Length of a choker style piece at 18". 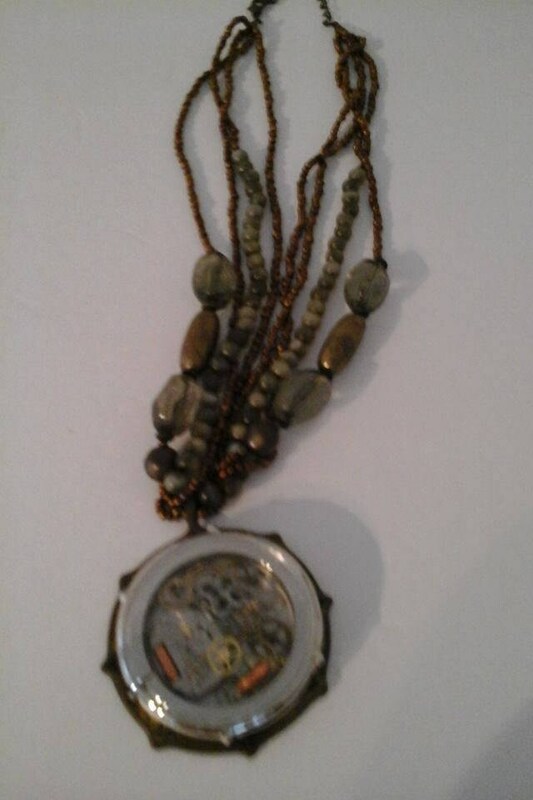 A gift for the special lady.